Our signs meet the legal requirements as described in the California Vehicle Code. Private properties must post signs at all entrances / exits to the parking area of the property. 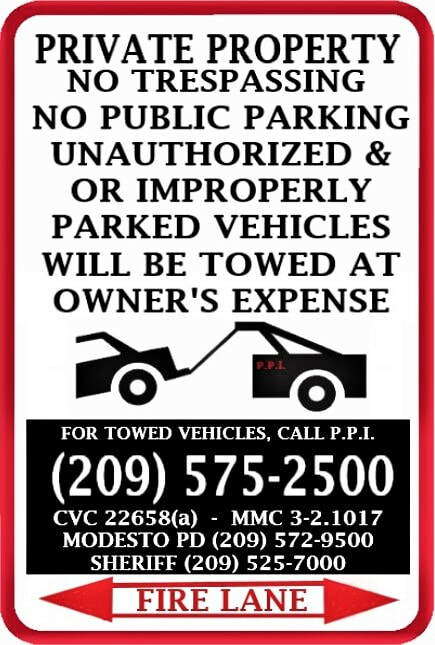 The signs are to warn motorists of the parking rules and provide our contact information. Here are some examples of our standard signs.